STOP ADVERTISING, START BRANDING is in all good bookshops NOW! Attached is a press release for Stop Advertising, Start Branding. This is a book about change. Yep, another one. The difference is, this one is about changing back to what you and everyone else used to do. It’s about laying the foundations before building the house. It’s about researching the destination before getting on the plane. That’s right, it’s about getting the fundamentals in place before coming up with the creative, the quirky, the clever, the funny, the whatever. 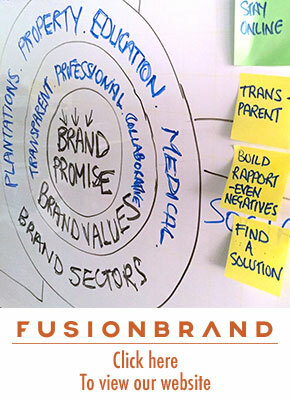 Far too many brands try to compete in their markets today without doing the right research. Without even communicating to their staff what they are trying to say. At other times they don’t even know if they can deliver on the promises made. That’s mad and why so much advertising doesn’t work. 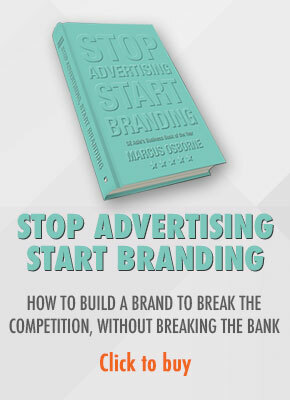 Stop Advertising, Start Branding is a book that doesn’t have a title with an animal name in it. It won’t win a creative award for the cover even though it looks great. It’s normal, it’s a bit thicker than many branding or marketing books today but that’s because the information you need to build a brand takes up this much space. Sorry. But if you read it I’m confident it will make you stop advertising and start branding. Which means it’ll save you a lot of money because let’s face it, most advertising doesn’t make much of an impression on anyone. And you can use the money you save to build a brand your people buy into and want to work for. And once they do that they’ll be able to deliver on the promises you make. And when they do that, your customers will come back to you time and time again and they’ll tell others how great you and your product are. And when that happens you’ll make a lot of money. OK, it’s not that easy but that’s why the book is 300 pages and that’s why I wrote it. If you want to find out how to build a brand without wasting massive amounts of money on advertising, I suggest you get a copy from your local Kinokuniya, MPH or Times bookstore in Malaysia and Singapore or from Amazon in the UK. And if they don’t have it, make sure you complain and order it or call us at +603 7054 2075 and we’ll sort something out right away. Great! Can’t wait to get it at the bookstore. Thanks for your comment and your support! It’s out but if you have any trouble finding it let me know and I’ll chase the distributor!